A reader can't find a way to remove images if she doesn't delete before sync. With photos taken on my iPad or iPhone, unless I delete them from the device immediately, am I unable to get rid of them on my iMac? Now, with a less than perfect Wi-Fi signal to my new Apple TV, these same photos are taking aeons trying to load onto the Apple TV device. This almost certainly relates to My Photo Stream (as it’s called in iOS 9 and El Captain), which works with iCloud, but is distinct and separate from iCloud Photo Library’s syncing. The fact that two interrelated options exist that seem to provide the same function has confused more people than just Fiona. iCloud Photo Library synchronizes all photos taken on an iOS device or saved to its photo library, as well as all images imported into Photos for OS X. My Photo Stream shows only the most recent photos (the last 30 days and no more than 1,000 images) from iOS devices, synchronizing them across all iOS and OS X devices for which the feature has been activated. The confusing part is that because these streamed photos appear on all devices, it might seem as if they’re being synced and can’t be removed! Instead, they’re only temporary denizens unless you also have iCloud Photo Library enabled. With just My Photo Stream turned on, you can download images that are synced and keep them permanently on a device without them winding up in the permanent collection of Photos for iOS and OS X on all your hardware. 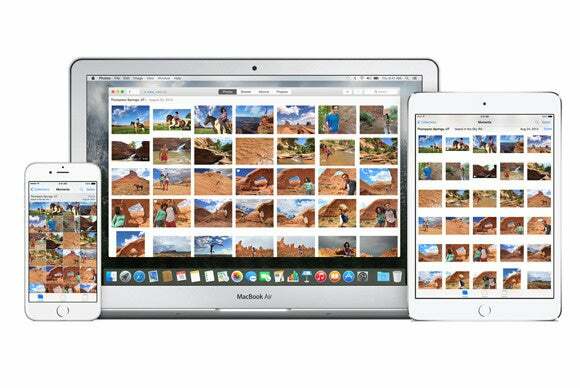 Photos for iOS (and for OS X) let you choose whether to stream photos. The Apple TV issue probably arises because an Apple TV will show My Photo Stream images whether you have iCloud Photos or Photo Stream turned on! 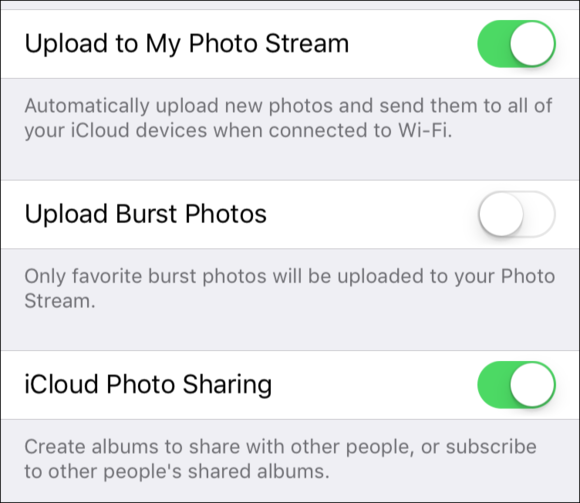 So even if you think you’re not viewing streamed images with iCloud Photos selected—you are. There may be a lag, or there might be a problem with images also being synced to iCloud Photo Library. You shouldn’t have to delete an image both in the streamed album and in your main library, but the lag in syncing could be duplicating its appearance. Check in both places—and maybe turn My Photo Streaming off to prevent this from happening in the future.